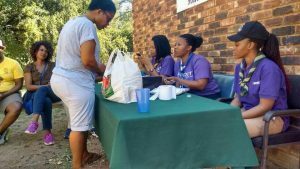 SCOUTS South Africa’s North West Region and Mahikeng District Scouts recently bid farewell to the last resident of the Foreign Nationals Relief Camp as they reintegrated back into the community of Mahikeng. This following recent protest in Mahikeng and the North West province that saw many Ethiopian, Ghanaian, Zimbabwean and Muslim Bangladeshi nationals, mainly tuck shop owners being displaced. 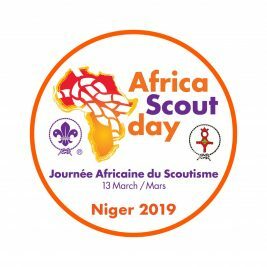 The camp was based at the Scout Centre for Excellence in Nature and the Environment from the 20th of April to the 25th of May 2018. The camp served as a place of safety which provided shelter and food to about 500 Ethiopian nationals who took residence at the centre near Cooke’s Lake Resort. The initiative was led by SCENE Manager Pablo Mogotsi and Mahikeng District Commissioner Lebogang Ramafoko. Scouts and Scouters staffed the centre and sent out appeals for help to support the displaced people at the centre. 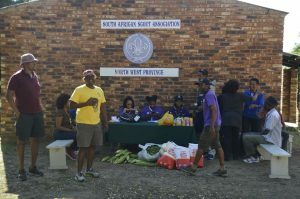 The community; farmers, businesses, hip hop artists and media all came forward to help the Scouts running the centre. They donated food and blankets, gave media assistance, legal assistance and provided health care. SCOUTS South Africa would like to thank all partners who sprung to action to assist including – but not limited to – the Rhema Bible Church (Mahikeng), the Red Cross, Mahikeng FM, Madresa Islamic School, Ambassadors of Change, Street KID Media Foundation, Doctors Without Borders, Bamboo Travel Solutions, United Kingdom Scouts (Suffolk), Human Rights Commission, Ethiopian Embassy, South African Social Service Agency (SASSA) as well as local business and members of the community for their donations and assistance. This Messengers of Peace initiative by Scouts in Mahikeng, helped not only the displaced people, but brought the community together. 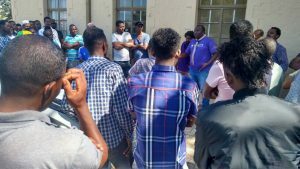 All the organisations agreed that they must collectively aim for peace and plan to mediate for cooperation between the different community groups and try to prevent similar events in the future. The NW Scouting team received a Chief Scouts’ Commendation for their service to others.